If you’ve read my last posts you know that in order to become a tour guide in Canada I have to complete 5 day hikes prior to starting the training. I am fortunate enough to live in Catalonia, a popular and versatile hiking destination. We have mountains, beaches, wineries, river deltas, waterfalls and many other natural wonders that attract hikers. To comply with the specifications of my pre-course homework, my hikes should to be longer than 8km and cover 300 meters of elevation gain. That rules out the river delta. So, I made a plan of hikes in Catalonia that will prepare me for the Rocky Mountains, from easy to more challenging. This is my 5 hike training plan. The Costa Brava towns are easily accessible from Barcelona by public transport, so this is where I started looking. 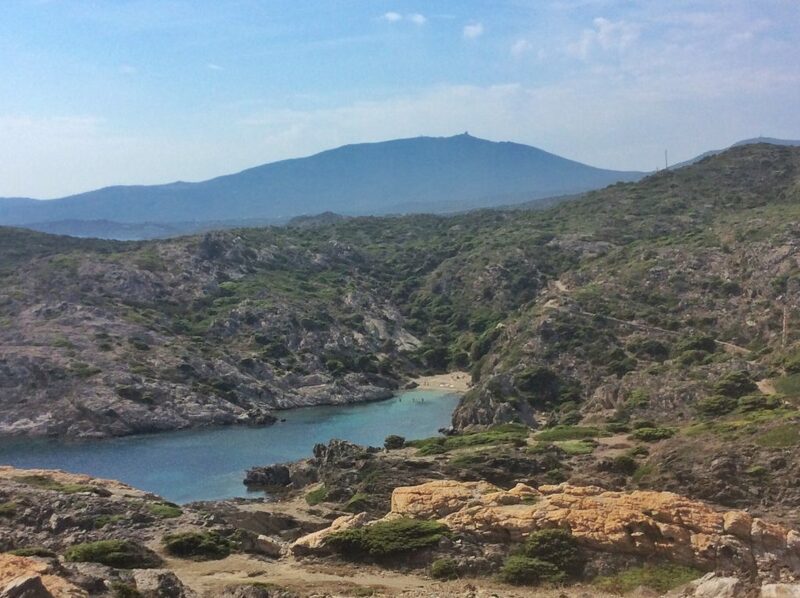 According to Pyreneestrails’ multi-day Costa Brava hiking tour this stretch is of low technical difficulty but 14km long and follows the established hiking trail GR92. Last time I was in Calella de Palafrugell I didn’t have enough time to take it all in, so I want to go back. The hike from Palamos takes about 4 to 5 hours, according to Ottsworld. Even know I know there is bus from each village at the Costa Brava to Barcelona it would be great to get a hotel room in Palamos for a night and combine this with hike number 1! There are no many hikes up, down, on and around Montserrat that it’ll be hard to pick one. I’ve started with Sarah’s Complete Guide to Montserrat Barcelona Hike and will choose of the medium routes. Last time I did the hike up from the train station at the foot of the train and it was quite challenging. This time I prefer to go up with the cable car and then hike on one of the many trails from the monastery, the path of the Rosary for example. 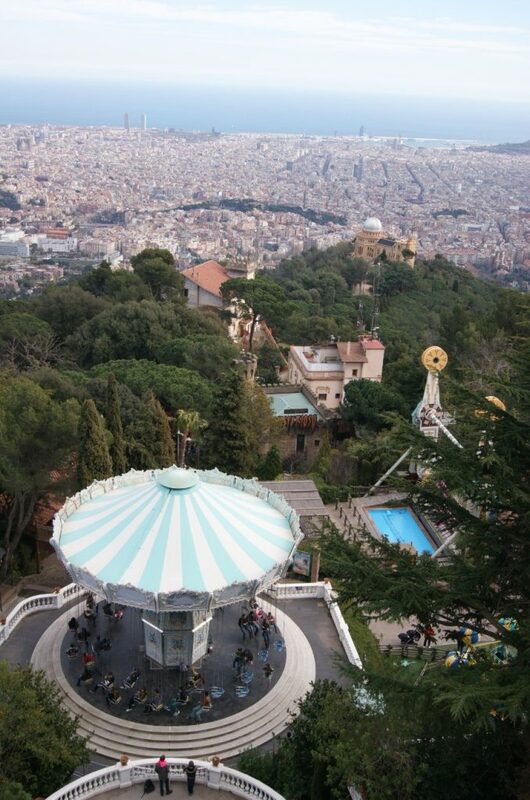 As you know from the articles about the best views of Barcelona, I absolutely love the view from Tibidabo over the city and the sea and the amusement park atop the mountain. To get there I’ve hiked, taken the bus, cable car and train and this time I’ll do a combination of those things. I will do the hike from Baixador the Vallvidrera through the Collserola park to the church on Tibidabo as described by Barcelona Navigator. I heard about this park from a colleague who went hiking in Montseny. It’s 40km outside of Barcelona but the public transport connection via train and bus is good. According to citylifebarcelona.com there are several trails to choose from, from easy to challenging. I’d love to do one of six the circular routes described by Turisme Montseny, maybe the one from the village of Montseny to Sant Marti. This is the plan. Now all I have to do is find 5 days when I can actually do all these hikes 🙂 And start by log book. This is going to be fun! Are you a hiker? What have your recent hiking experiences been?